Everyone dreams of that first day of college. The friends you will meet, the experiences you'll be exposed to, the school spirit you'll develop. But paying for that dream can be a nightmare if you don't have a surefire plan. However, you can avert all that if you save from early on. A college education is expensive after all. Do you really want to be paying off student loans for most of your 20s or even 30s? 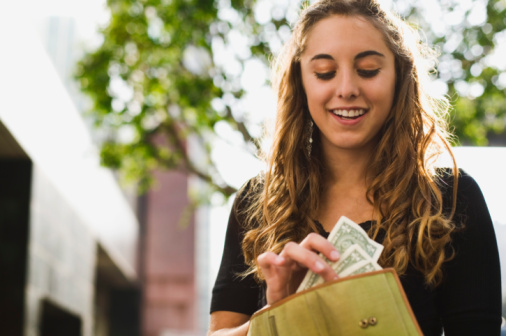 There are many ways to save for college without having to borrow at every turn. Here are a few of them. When it comes to spending for college, you should expect to make five-figure payments per year for tuition. According to College Board, costs for four-year non-profit private universities, factoring in tuition, room, and board, among other fees, is $46,960 per year. For public four-year colleges, factoring out-of-state fees, tuition and additional fees cost $25,620 per year, while room and board cost $10,800 per year. While public four-year colleges (including in-state fees) and public two-year colleges cost less, you'll still be paying $20,770 and 11,970 on average per year when you factor in all expenses. Scary proposition, isn't it? While not all scholarships cover a majority of these costs, they come in handy when you need to accelerate the process of paying for school. A scholarship is a grant or payment made to support your education, either by academic or athletic achievement. Some scholarships don't even require you to be a high school senior or junior to apply for one. If you're an honor roll student or a successful athlete, apply for a scholarship as soon as possible. You never know who might be looking at you from afar. There are a wide variety of scholarships for local and international students, as detailed by Scholarships.com. A lot of them are tailored to your needs or achievements. Whether you have excelled in community service, are a superb essay writer the first person from your family to qualify for college, there's a scholarship for you. Make the most of your talents. Utilize them to full effect so part or all of your tuition, room, and board, as well as other costs, can be covered. How much money do you need to be saving and in how much time? There's no exact answer, but the sooner, the better would be the appropriate response. Savings calculators make that estimation more straightforward, with the aptly-named SavingForCollege.com being a good example. Let's say, for instance, that you're a high school sophomore (age 15 or 16) and hope to start college in 2021 at an in-state public university. Your household's yearly income is $75,000, and your goal is to cover 50 percent of the projected cost of college (just under $135,000). Your family will need to make contributions of $536 per month to a 529 plan. A 529 plan is a tax-advantaged savings plan which is legally known as a qualified tuition plan. It's sponsored by states, state agencies, and institutions and is authorized by section 529 of the Internal Revenue Code. With that example, a savings gap of just under $67,000 would be left. That gap would be covered either by family or friends, your current income, and student loans. If you hope to cover all costs, without the need for any assistance, you and/or your family would have to contribute an average of $2,196 per month in a 529 plan. In another scenario, if you plan to go to a community college with the same household income, the projected cost of school in 2012 would be $92,933. If you plan to cover 50 percent of costs, your family will have to contribute $231 each month in a 529 plan, Should you want to include all costs, you're looking at putting aside close to $1,400 a month. Those are some eye-bulging numbers, aren't they? This is why it helps to bring in as much income as possible as soon as you can, whether through summer work or part-time jobs, as well as odd jobs. Starting a savings account as soon as possible would be wise, where you can grow the money you have through interest over time. Get to your nearest bank and start saving now. One note I'll add from personal experience. The cost of college is astronomical, and it's projected to continue to grow. It may soon become reasonable to say that you don't need to go to school because it's just too expensive. Having spent over a decade in the workforce, I can tell you that it does matter. Yes, a degree is costly, but it's just the cost of admission these days. Most companies won't even look at your resume unless you have a degree. So, while it's expensive and may not seem worth the cost, you'll need a degree if you want to have any type of real career progression. If you haven't already, start looking for a job that will give you a substantial enough income boost so you can make the saving process seamless. Getting a part-time job at a supermarket, arcade, or fast food restaurant would be an excellent place to start. You could also look for a full-time summer job in case school is too demanding for you, such as a lifeguard at a beach, working as a cashier, and other jobs. Building up a good income for three or four months accelerates the process a bit more, so when you start school again, you'll have a foundation to build on. Also, feel free to offer your services to neighbors, friends or family to make money. Whether it be doing chores, yard work, babysitting or watching pets, make yourself useful. A lot of people out there don't have to time to do these things so they could use a young person like you to help them. One way to make extra cash is to sell items which you have no use for. For example, if you have an old phone you need to get rid of, you can trade them in for money via Gazelle.com and other outlets. You can also advertise some of your old clothes, toys, or shoes that no longer fit on eBay or Amazon. The catch, however, is that you may need your parents to help you sell such items. Many online exchange services require you to be 18 or over to become members. You can also have a garage sale and auction some of your old stuff. In addition, sell refreshments and snacks. There's no shame in having a lemonade stand as a teenager. Is it possible to begin a college education in high school? Yes, it is, and it can help you gain credits and reduce tuition. One way to do that is to enter a community college. Doing introductory courses while in high school helps prepare you for what's ahead. Plus, the tuition for these credits will be cheaper than credits at a public or private college. You can even choose to attend that community college for a year or two after high school. John Marotta of Marotta Wealth Management also recommends that you take advanced placement courses, which help prepare you for college-level coursework. You can save a good amount of money on books and tuition through doing these classes. According to the Huffington Post, 90 percent of colleges and universities in the U.S. offer credits for some AP courses. Getting a head start on your college education could help you reach the finish line quicker. When saving for something as expensive as a college education, you'll have to curb your spending habits a bit. As a certified financial planner and marketing specialist, Kristin Harad points out that you should eliminate any wasted money that might be under your nose. Instead of going to your favorite fast food restaurant every other day, ask your parents to cook more homemade meals or cook for yourself if you're able. Instead of heading to the mall, find free activities for you and your friends to do. Whether it's playing sports, video games or just hanging out and watching movies, you should encourage yourself to be more active so you can reduce your urge to spend. Furthermore, if you have received any gift cards, coupons, or other benefits that you can get cash back for, take full advantage of them before they expire. It's not being cheap; it's being smart. While your parents will do their best to help you out, it works to your advantage and builds self-esteem when you take the initiative to save for yourself. As a 2015 College Savings Foundation report found, 81 percent of high school students believe paying for college is their responsibility. Plus, wouldn't you feel better about your college education if your money helped you get there? It makes the diploma or certificate you get at the end feel well-earned. Plus, it sets you up on a path to responsible, long-term financial management. In addition to saving, make sure you fill out the FAFSA and CSS Profile to maximize your student aid. This article was written by Chris Muller from Money Under 30 and was legally licensed through the NewsCred publisher network. Please direct all licensing questions to legal@newscred.com.